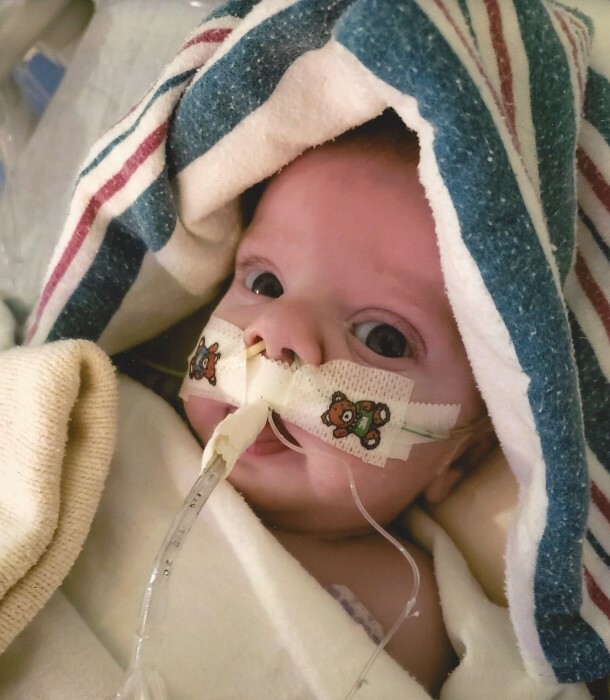 Jennings Bram Wallace, 7 months, of Pleasantville, IA passed away with his parents by his side at the Stead Family Children’s hospital in Iowa City, IA on March 25, 2019. He was born August 16, 2018 to Josh and Jennifer (McGinn) Wallace. Jennings is lovingly survived by his parents, Josh and Jennifer; older brothers, Jorden and Jasper; great- grandparents, grandparents, aunts, uncles, and cousins. Visitation will be at the Sunset Memorial Gardens, 7601 Fleur Drive in Des Moines, IA, from 5-8 p.m., Friday, March 29th. Graveside services will be held at Pleasantville Cemetery in Pleasantville, IA, on March 30th at 11:00 a.m.. There will be a luncheon immediately afterwards at the Fairview Church in Pleasantville, IA.